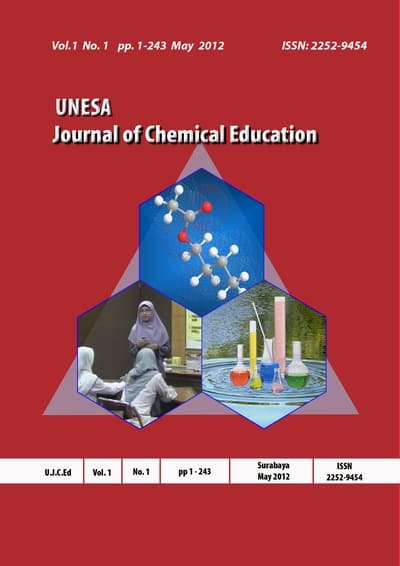 A Journal on line for communicating and reviews covering all chemical education research that published in online three times a year by Chemistry Department, Chemical Education Study Program, Faculty of Mathematics and Natural Sciences, Surabaya State University, located in Jl. Ketintang Surabaya, East Java, Indonesia. 60231. Prof. Dr. Sri Poedjiastoeti, M.Si. Prof. Dr. Rudiana Agustini, M.Pd.